You know those coffee chat posts people have been doing for a while now? Well, I'm going to do that, but instead of going to coffee, we're going for a run. Lace up your shoes, it's time to get movin'! If we were going for a run today, I'd take you to one of my favorite viewing spots. 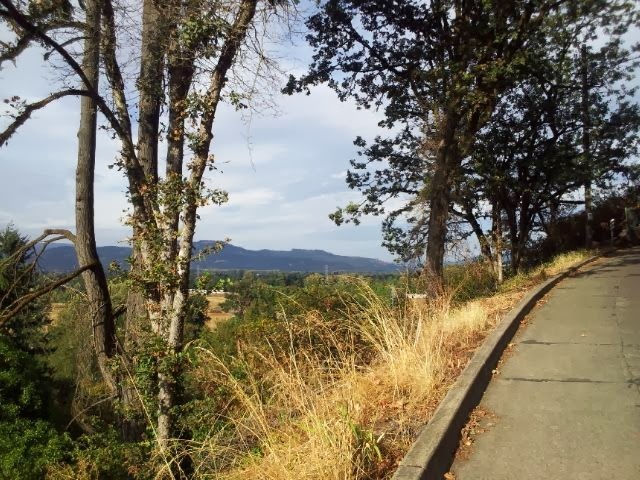 It's just a few blocks behind the University of Oregon campus in a beautiful neighborhood. You run up a steep hill under some large oak trees (take it slow and steady) and emerge at a clearing across from this funky cool house at a view that makes me want to just sit and stare. Stop here and just take a look around. Looking east from this spot you'll see the Willamette River, Pre's running trail and the Cascade Mountain Range. 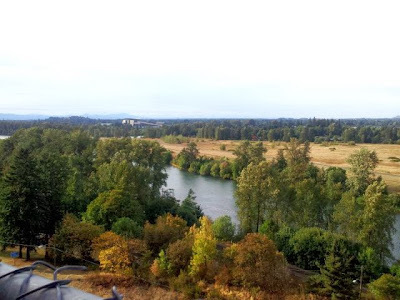 Looking west, you can see more of the river, running trail and even Autzen Stadium (home of the Ducks!). Just up the road from here is a famous landmark, in fact. One which I don't run by or think of all that often because it is so tucked away from my normal routes. But just around the bend, you'll find Pre's Rock one the side of a road where he crashed his car and died one night after drinking. Every time I run past it, there are new pieces of memorabilia, medals, notes, running shoes, flowers. 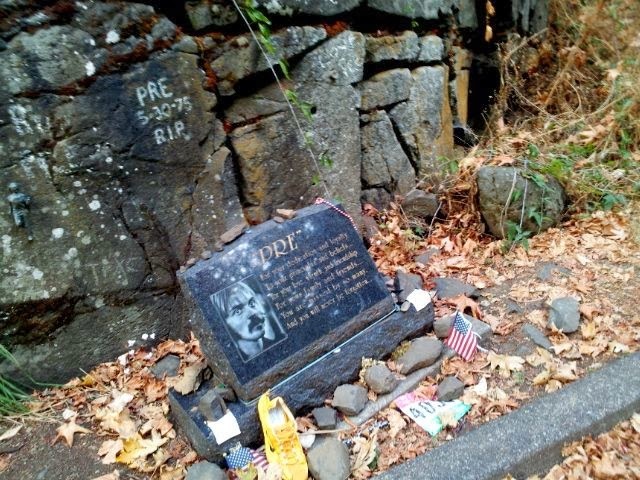 There's no doubt Prefontaine has left his mark on the running world as runners near and far come here to this legendary spot. 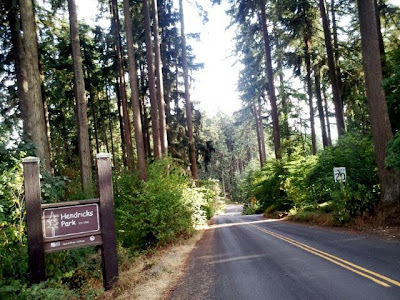 After we go up to take a peak at Pre's Rock, we turn to run up and over the hill toward Hendricks Park where we're greeted with more hills and trails. We'll run for at least another mile or two on the trail before turning around because you just can't leave this place without running trails. This is my happy place. Whether it's a coffee shop, that friend who knows your entire story, or a coveted hiking trail, we all have things and places that just feel right. This run always makes me feel on top of the world. If you ever come to Eugene, I'd be happy to be your personal running tour guide. Just give me a holler! P.S. I took these photos on my run about eight weeks ago so that's why it looks so pretty and sunny. We're currently enjoying a little rain and temps in the 40s and 50s here in Eugene. What's on your list for today? 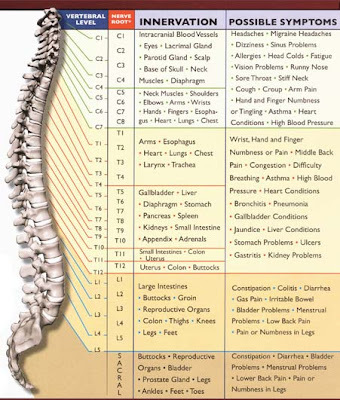 I'm heading to get my namasté on at my favorite yoga class and then I see lots of studying and homework in my future. Oh joy! Wow SO pretty! I love this take on your favourite running trail. If we ever get some sunshine again (feels like it's been raining for days here) I'll do a similar post with my favourite trail! That run is beautiful! 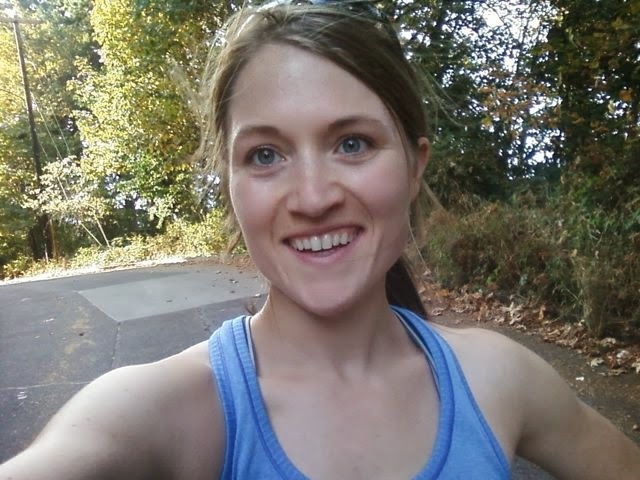 I hope that I can some day go on a run with you in Eugene! It looks like such a pretty area. The way you feel on that run is how I felt running along the Mississippi in my old neighborhood, or along Lake Harriet in south Minneapolis. Hopefully some day I'll be back there and you & Pete can visit and I can show you some of MN's best running! I started my Saturday with a spin class, then went to get some repairs done on my car that I have been putting off. I'm planning to make a couple of dishes today (a cauliflower soup and an Indian dish called Rogan Josh) to freeze so I have lunches during the week on future weeks that I travel. I fly out tomorrow morning so I am also catching up on laundry and packing! One of my favorite routes in Eugene! When I'm actually running more than 3 miles, I like to do that route from work. Such a great break from the day. This made me happy . . . and sad. But, I am grateful for the photos. Hope you guys are enjoying your first married Eugene fall. Hugs!!! I LOVE this....and it definitely looks gorgeous in those photos gal! Thanks for sharing this...and I might take you up on that offer next time the dogs and I are passing thru...although you'll have to go slow for me ;) Ha. Pre was from my hometown so his story is definitely close to our hearts. Hope this next week goes well for you! 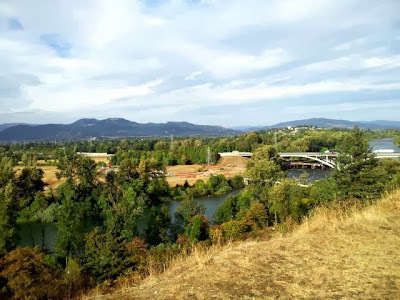 I went to college at UO (2003-2007) and it was nice to see the area again! I used to go up to Hendricks park on occasion. :) Great pictures!